We've been named by Channel 42 K-eye TV as "The Buda Area MLS Expert". 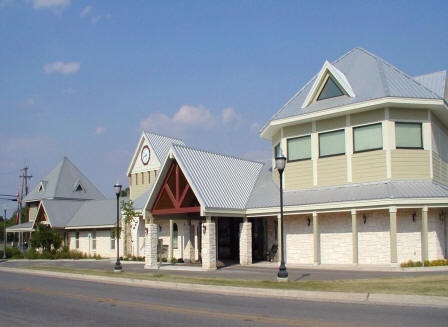 Buda Texas Real Estate: Buda Texas Homes for Sale. Buda Texas Homes for Sale by Subdivision. I happen to live in Kyle which is just a 'bit' further south on I35. About 7 years ago I did all my grocery shopping in Buda as Kyle didn't have a grocery. And when I don't feel like cooking (which is pretty often), you can find me at Garcias getting a nice meal or when I have a craving for a big hamburger I still run up to Buda for Dan's Hamburgers. The two cities share a lot, including the school district, the Performing Arts Center, the YMCA and a whole lot more. So I'm familiar with this growing community. It has been growing by leaps and bounds. It's only a short distance from Austin so many find it to be a great option. Where is Buda located? Anything special about it? Though growing in size, Buda still has that small town feel. Like Kyle it's only a hop, skip and a jump south of Austin. You just head south on I35 from downtown Austin and keep going until you come to exits 221. You'll see a McDonalds on the East side of I35, and HEB on the West side. If you head west past the HEB, then the Super Walmart and the Drugstore you'll soon find yourself in 'downtown' Buda. There's a bit more to downtown Buda than downtown Kyle, but it's still pretty small. There are few antique shops, a few restaurants, the city library and some local businesses. But don't let the small size fool you as there are a lot of committed businesses and plans for this fair city. From a real estate standpoint all of this growth means a lot to the values of the homes in the area. People like convenience. They like to be near their places of work and they will be more inclined to purchase in a community that has more amenities, shops etc. So with all of the jobs that will be added to support these new businesses there are going to folks wanting to live near their place of work. As for the schools in the area. Buda, like Kyle, is in the Hays Consolidated School District. My two youngest daughters attended Hays High school, and now my granddaughter attends Hays. I have actually been impressed with the programs the schools offer. They have a great band program, and many great elective for students to choose from. Academically I have been impressed with their AP program. Like Hays, Lehman is soaring academically and has great programs to offer their students. What a great school district!! Buda and neighboring Kyle, have a variety of homes to choose from. Listed to the right (and repeated below) are some highlighted communities to give you a starting point. If it's new construction in Buda you're after there is still some options. While many of the communities are no longer building, on the West Side of I35 we still have builders in the communities of Garlic Creek, Elliott Ranch, Whispering Hollow, Elm Grove, Ruby Ranch and Meadows at Buda. But not to be outdone, there is also still new construction on the East side of I35 including neighborhoods such as Shadow Creek and Kensington Trails. In case you are wondering where the communities are located you can click on the Buda area map icon to the left and you'll see a map with most of the Buda neighborhoods noted. If it's an executive style home with a larger lot that you are looking for, you can find them in Buda as well. There's Ruby Ranch, Elliott Ranch and Leisurewoods to name a few places to check out. So call us and let us show you around...come for a visit...and maybe you'll decide to stay a while. We'd be happy to show you some homes in the area...and if it doesn't feel like home...no problem...we work the entire Austin/San Marcos metroplex. We help buyers buy from as far North as Georgetown all the way South to San Marcos. We'll help you find the area that works best for you. If it is a home for lease you are looking for, click here for a listing of all of the Homes for lease in Buda or all homes for lease in Buda by subdivision and please call us with any questions at 512-449-6070.